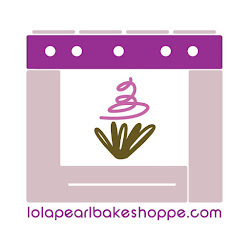 Lola Pearl Bake Shoppe: Trick or Treat! Give me something good to eat!! Is there a better combination than chocolate and peanut butter? We cannot think of one. Perhaps it's our affinity for Reese's Pieces or simply a spoon and a jar of crunchy Peter Pan peanut butter, but these cupcakes take the cake for the most tasty Halloween cupcakes by far. The bats are compliments of Edward Cullen, of course, even though he never takes flight in the Twilight saga. HAPPY HALLOWEEN!! !